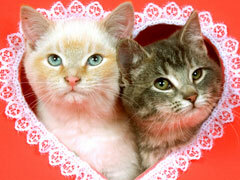 Valentine’s Day has never been cuter! This kitten screensaver is sure to please all the kitten fans out there. Enjoy!